101Recipes : All healthy recipes. 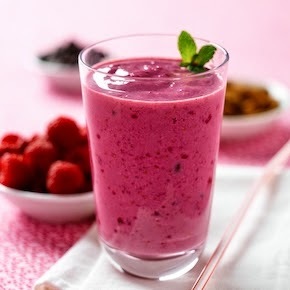 Combine orange juice, banana, berries, tofu (or yogurt) and sugar (or Splenda), if using, in a blender; cover and blend until creamy. Serve immediately. Disclaimer: Weight Watchers is a registered trademark of Weight Watchers International, Inc. SmartPoints, Points and PointsPlus are trademarks of Weight Watchers International, Inc. Authentic information about the program is only available at your local Weight Watchers meeting. This site is not affiliated with Weight Watchers International in any way, and Weight Watchers has not reviewed this site for accuracy or suitability for WW members. Information on this site is based on recollections and assumptions of its author and is not warranted for any purpose by its author. All readers are encouraged to go to a Weight Watcher’s meeting for actual WW info. This site is presented under the rights of the First Amendment; rights worth fighting for. All information is intended for your general knowledge only and is not a substitute for medical advice or treatment for specific medical conditions. You should seek prompt medical care for any specific health issues and consult your physician before starting a new fitness regimen.